Russia international Denis Cheryshev has joined Valencia on a season-long loan from LaLiga counterparts Villarreal. Valencia announced the deal in a brief statement on their official website and did not disclose whether the switch includes a right to buy the 27-year-old midfielder. 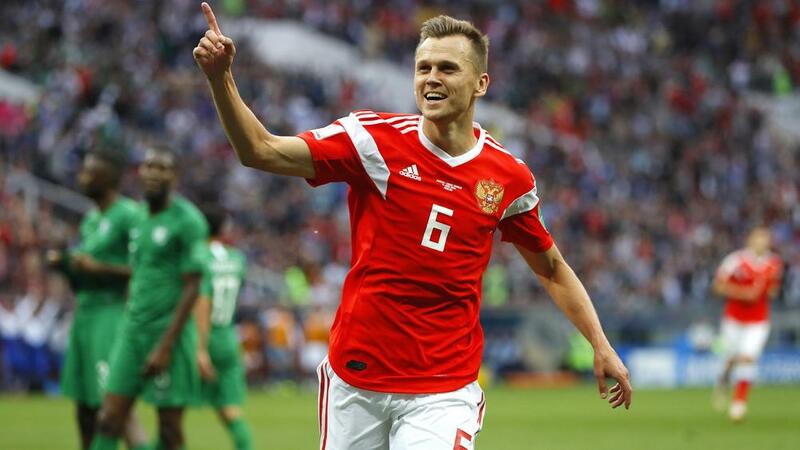 Cheryshev was one of the stars of the host nation's campaign at the 2018 World Cup, scoring four goals in five appearances in their run to the quarter-finals, as well as converting his penalty in the shock shoot-out win over Spain in the last 16. GAMEIRO: VALENCIA SWITCH "WAS NOT EASY"
He enjoyed a previous loan spell with Valencia during his time at Real Madrid in 2016, scoring three times in six LaLiga starts. That followed a temporary stint at Villarreal, who Cheryshev joined on a permanent basis in June 2016, only to struggle for a regular place in the first XI. He made 24 league appearances in 2017-18 but only started nine times. Cheryshev's arrival continues a busy week in the transfer market for Valencia, who have brought in forward duo Michy Batshuayi and Kevin Gameiro ahead of next Monday's season opener against Atletico Madrid.